The Convent of St. Agnes of Bohemia is quite the hidden gem in Prague. Hidden away from the public with just a simple glass door as its entrance, it is easy to miss. In fact, I nearly did miss it. The patron of the convent was, of course, Agnes of Bohemia, the ninth and last child of King Ottokar I of Bohemia and Constance of Hungary. She was most likely born in 1211 in Prague. 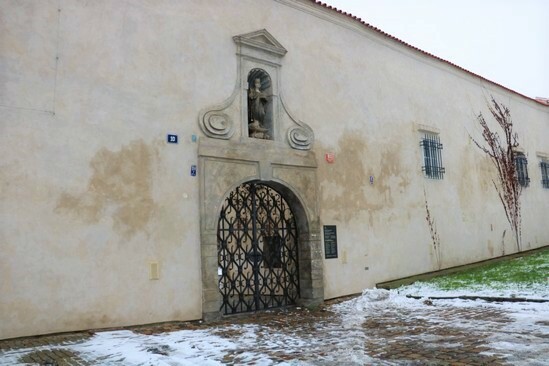 The first three years of her life were spent at Prague Castle before being moved to the monastery of the Cistercian Nuns in Trzebnica in Poland until the age of six. 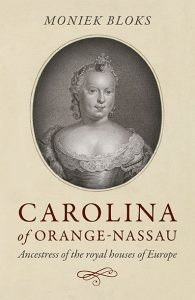 This was probably done in preparation of her marriage to a Polish duke but she returned home when he died. The following years were spent at the Premonstratensian monastery in Doksany and she learned to write here. She probably returned to court at the age of 8 to be betrothed to Henry, heir to German Emperor Frederick II and she was then sent to Vienna to the ducal residence at Klosterneuburg. She was known for her piety there. In 1225, her betrothed married another Princess, Margaret of Austria, and so the now 14-year-old Agnes returned home once more. Agnes spent the next eight years living at Prague Castle with her family, where she would often wake at dawn to attend mass. She still remained a pawn on her father’s chessboard. In 1226, a delegation sent by King Henry III of England showed an interest in her. No agreement was reached and he ended up marrying Eleanor of Provence. Upon the death of her father and the accession of her brother King Wenceslaus I in 1230, the last attempt was made to marry her off. Once again, this came to nothing. Agnes decided to turn to the religious life. The founding of the convent was carefully prepared and was to include a hospital for the poor. The first monastic community was formed by five Italian nuns, later joined by seven girls from aristocratic families. In March or June 1234, Agnes wore the order’s habit in the presence of seven bishops and her family. In August, she was installed as its abbess and the convent was granted the protection of the Pope. Soon, it began to house precious manuscripts and reliquaries donated by her family and the Pope. 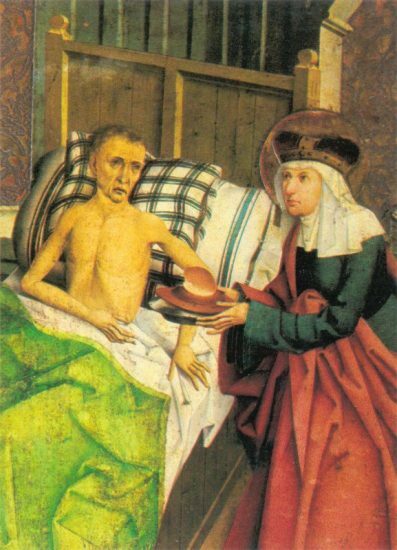 When her sister-in-law Cunigunde died in 1248, Agnes arranged for her burial in the convent. When her brother died in 1253, he too requested to be buried in the convent. By then, Agnes was a respected figure. In 1277, she took in her great-niece, Cunigunde of Bohemia, the daughter of her brother’s son King Ottokar II. The following year, Agnes had a vision of Ottokar’s death and he indeed died in battle soon after. During the occupation that following, Agnes supported his widow Kunigunda (born of Halych). Agnes fell ill in the spring of 1282 and accepted Corpus Christi on the third Sunday of Lent. She died on 2 March 1282 at the age of 71. Her body was put on display and the general public paid their homage and was allowed to touch her body. She was buried in her own convent, across from her oratory. However, her grave often flooded and the sisters were worried that her body would fall apart. The body was removed, washed with wine and placed in a new wooden coffin. Agnes’s remains disappeared sometimes during the Hussite Wars but her convent was spared destruction. Soon after her death, there were calls to canonize her but she was not beatified until 1874 with canonisation finally following on 1989. At the beginning of the 20th century, the compound was gradually renovated and it was opened to the public in the 1980s. Currently, the upper floor of the convent houses the long-term exhibition Medieval Art in Bohemia and Central Europe from the National Gallery. I really enjoyed my visit to the Convent of St. Agnes of Bohemia, it was by far my favourite place to visit during my short trip to Prague. It is quite a magical place to be and to be able to walk in the footsteps of someone who lived so long ago. They had plenty of information available in English and even had a huge English book about the monastery. The entrance fee of around 10 US dollars is quite reasonable in my opinion.